Calvin Klein Women BODY Cotton Thong, White Item is Non Returnable due to Hygiene reasons Pure Cotton Thong with a Medium Rise Waist. Features a Broad Calvin Klein Signature Waistband This CK Womens Underwear is made from 100% Cotton.Our Collection at Boxers and Briefs contain only the highest quality Calvin Klein Womens Underwear. One of the latest ranges is the Calvin Klein BODY Collection. BODY Celebrates the 50th Anniversary of Calvin Klein, using the iconic cotton rib quality and branded waistbands of the men's range and blending them with unique details for the women's range. 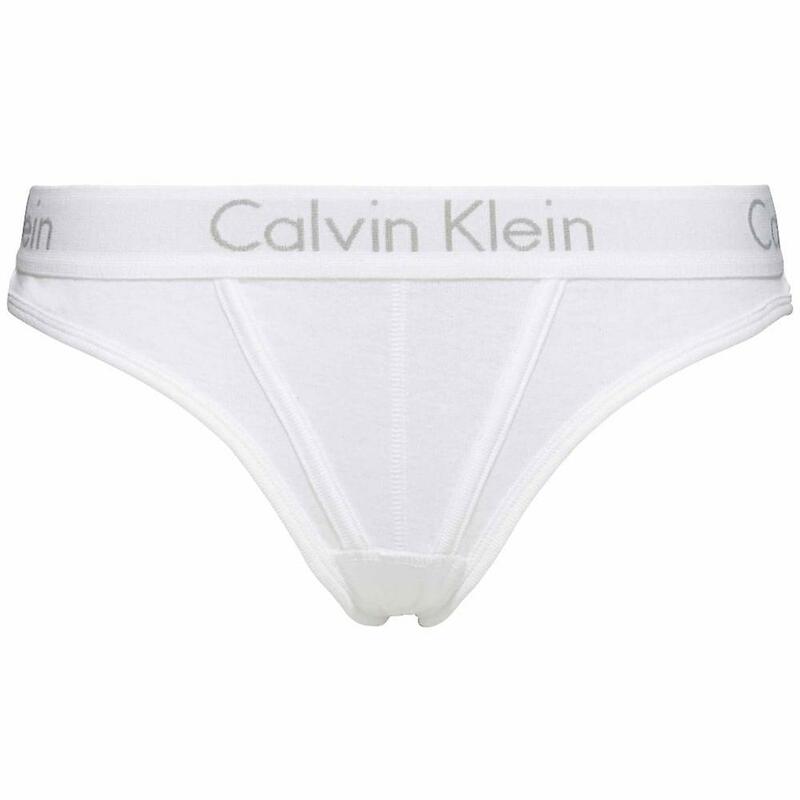 In this range we have a White Calvin Klein Womens BODY Cotton Thong, which is available in multiple sizes ranging from XS to L.Calvin Klein Women BODY Cotton Thong, White Item is Non Returnable due to Hygiene reasons Pure Cotton Thong with a Medium Rise Waist. Features a Broad Calvin Klein Signature Waistband This CK Womens Underwear is made from 100% Cotton.